The fishing for me was considerably slow throughout most of the day, at the beginning of the session we started out where the river runs a tad slower and is also deeper as I wanted to see how my Curado 301E goes with the likes of bigger stuff (glidebaits, replicants etc.) and even then I only had a few halfhearted takes from jacks. After covering this stretch within the space of an hour, we had a quick breather and assessed the situation and what we'd had between us I had sod all whilst I believe Ian managed a perch or two. 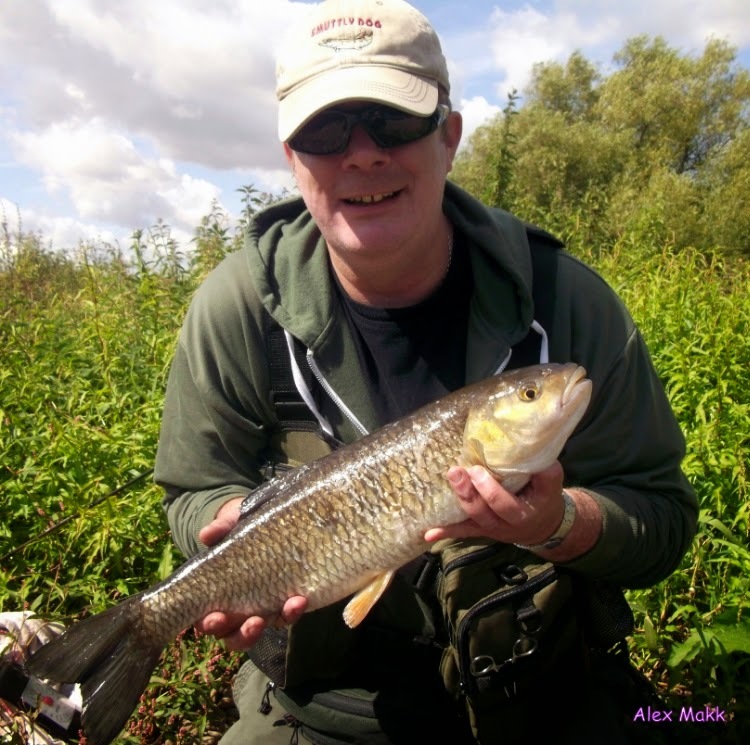 The river was in good condition, the clarity almost gin clear and there were plenty of the smaller fish around. We decided to move to another part a couple miles away and rethink our approach. I decided to do a two rod approach with my shinjin b/cast and my 3g/18g bushwhacker, and Ian took his basspro b/cast and his dragon 3g/18g. Instead of going our usual way on this stretch, we decided to take a different route just for a bit of exploration to parts we'd yet to cover. We both covered what we could as a lot of the bankside was a bit out of our comfort zone (high nettles and steep almost near vertical drop of several feet on some parts of bankside). I did have a couple of follow from a small shoal of curious perch followed shortly after by a follow from a larger perch. As we made our way to where we started, we bumped into a familiar face. Steve had been at this area a short while and had already had a few perch for himself. After a chat and a quick drink, we decided to carry on back to where we started with Steve accompanying us. The topic of chub came up and we stopped off at a part as steve was teaching us a thing or two with chub i.e. where they most likely to be and some of their habits/traits such as patrolling a drop during their feeding spell or keeping tucked under the overhanging vegetation on the far bank. 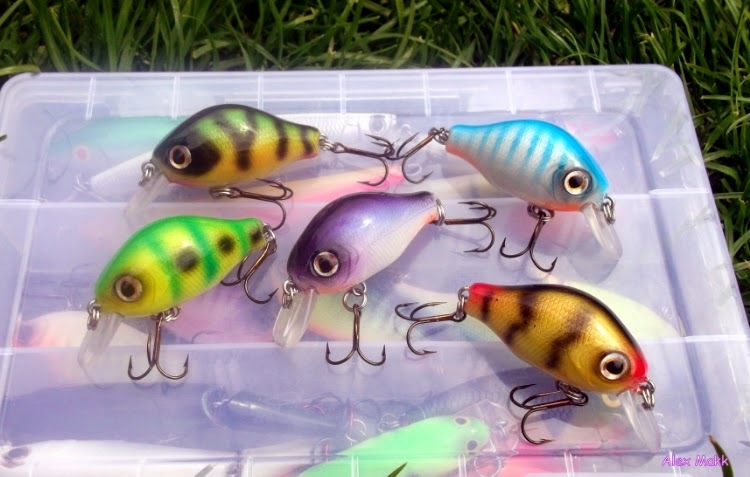 I soon put that into practice using the little alphabet baits from Mark, and after a dozen or so casts towards the far bank. 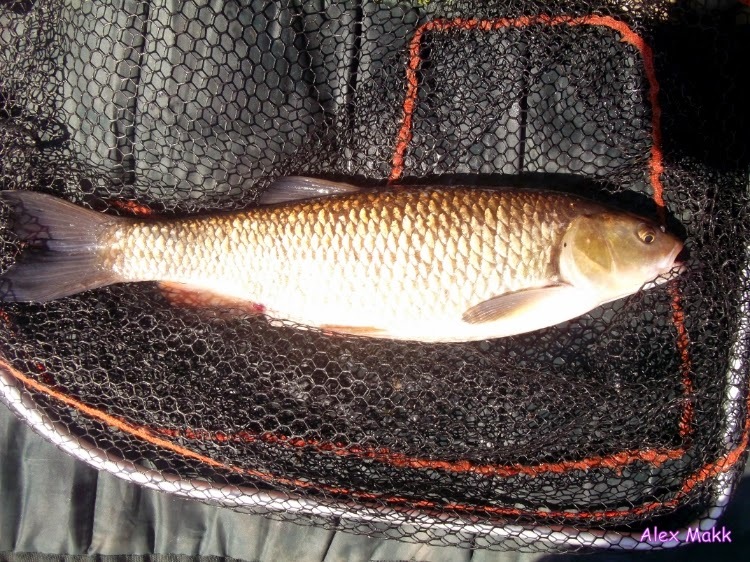 I soon had a sudden sharp tug and felt a tugging weight on the other end of my line, A quick shout to those two that I was onto a fish made them aware and Ian grabbed the net ready, I was soon graced with a nice new PB chub of 3lb 12oz. I moved further downstream, swapping my little alphabet for a different patter and flicked it under some overhanging trees and felt another sudden sharp tug and weight pulling and lunging. Another chub! This time slightly larger that the previous one so I knew instantly that this is another PB. A quick whistle to Steve as he was nearest to me. As he asked what's up this time I told him that I'd like him for taking a couple of quick pictures as I've yet again broke the Chub PB in space of quarter of an hour. Ian came along to see what the commotion was about and he congratulated me on my new PB, I told him to start casting towards an area as I was packing the scales and unhooking tools away and instantly he was onto a fish. 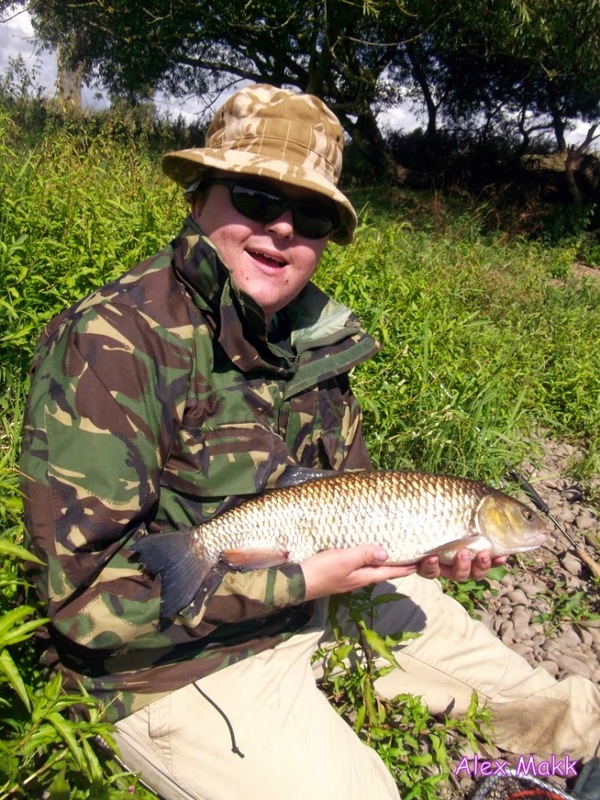 After the release of Ian's new PB I noticed his bait was back into the water quicker than I could say ''chub'' and soon enough he was on another smaller fish of 3lb 2oz. It soon went quiet and that was what we were left with the rest of the session. I found it quiet unusual that there were no perch showing any interest especially with my recent fish I've had but I guess they have their ''off'' days too. 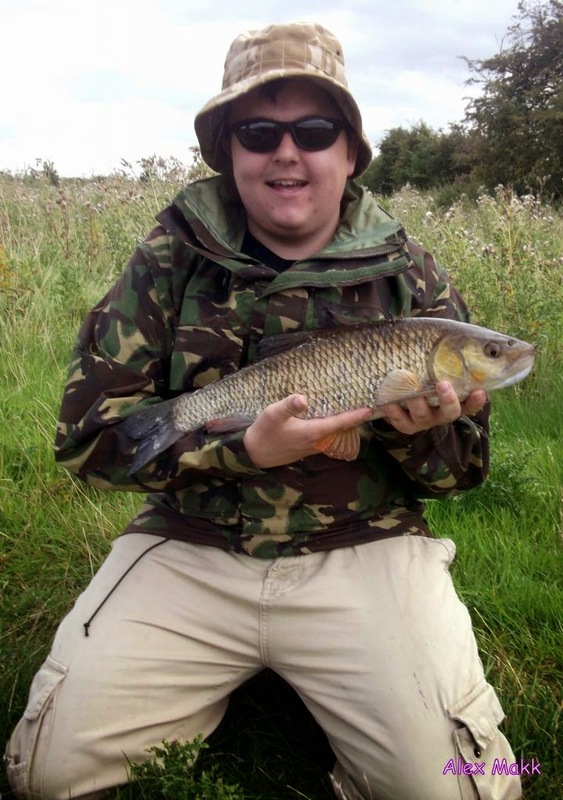 Hopefully now I properly know how to approach the like of chub, you should see more of them included in future posts. Congrats on your new pb, awesome fish. 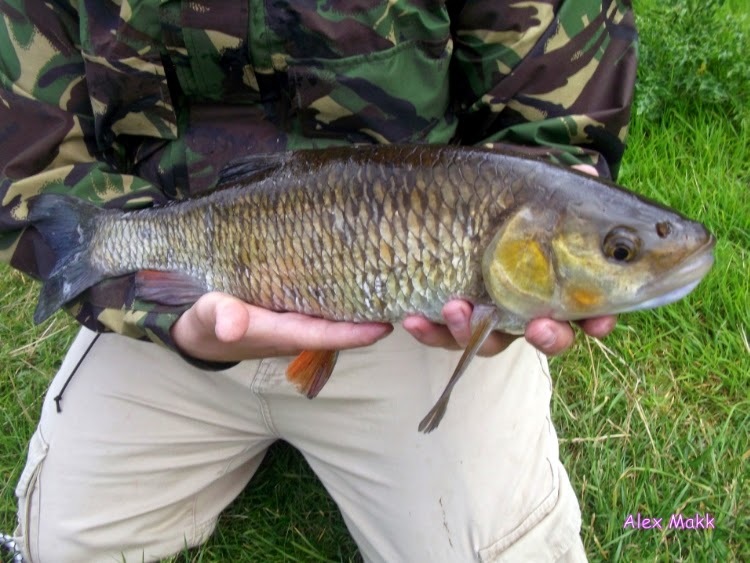 How about doing a little blog on what you've learnt on catching Chub on lures. I have no success with Chub on a stretch full of them. I could do a little post on what I've learnt so far with the chub Tom, but I feel that I don't yet have enough knowledge to make it worthwhile. However since you have mentioned it I will put it on the 'to do list' and hopefully in a few weeks or possibly a couple months I should be able to conjure something up.